Dessert for breakfast? Yes please! 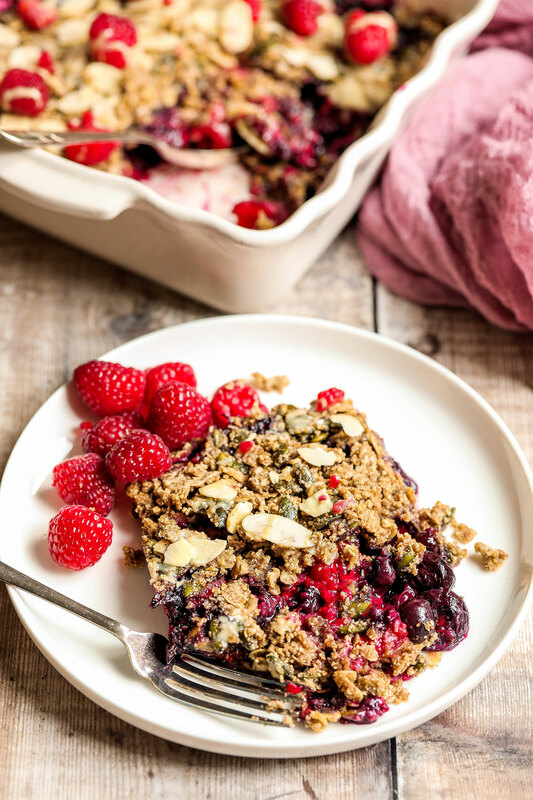 This breakfast berry crumble is bursting with blueberry and raspberry goodness and topped with the most scrumptious crumble topping! 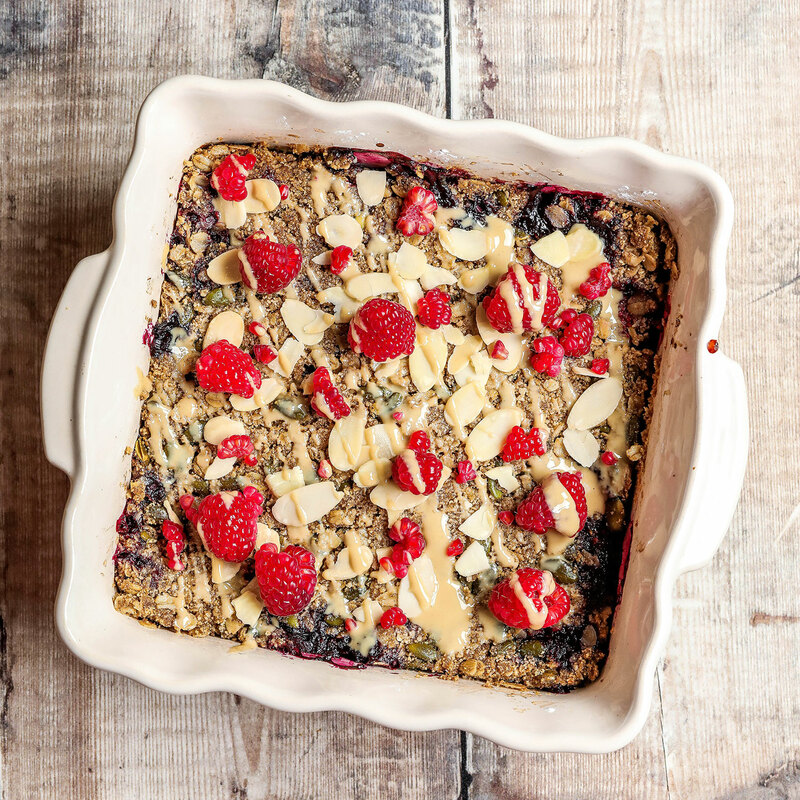 A few weeks ago I posted a recipe for this raspberry almond baked oats and it was received so well. 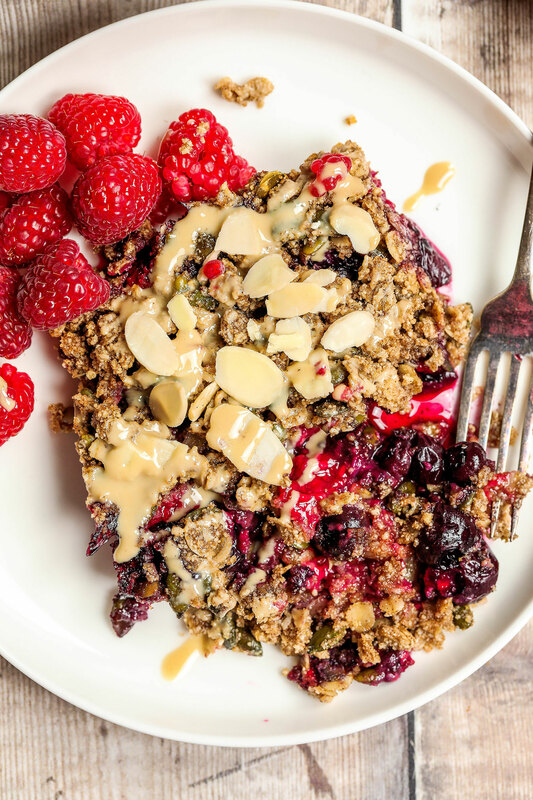 I guess you all love berries and oats just as much as I do 😀 I thought I would make another breakfast recipe with berries. Especially seeing that the weather isn’t getting any warmer in the UK and we still need all the comfort we can get first thing in the morning before kickstarting our day. 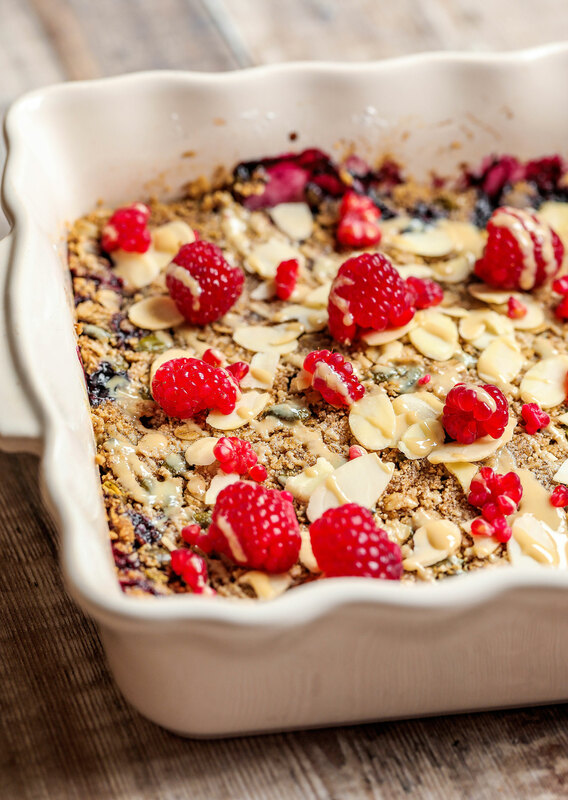 Although the word ‘breakfast’ is in the title, there is no reason why you can’t enjoy this breakfast berry crumble any time of the day as a snack or as a light dessert after meals. If you want to enjoy it for breakfast I would recommend baking it in advance, then stick it in the oven in the morning for 10 minutes to heat it up. You can eat it cold if you don’t have time to reheat it. Or you can take some with you to work in Tupperware. I usually crave a sweet breakfast in the morning, but at the same time I don’t want it being too sweet or having too much added sugar. 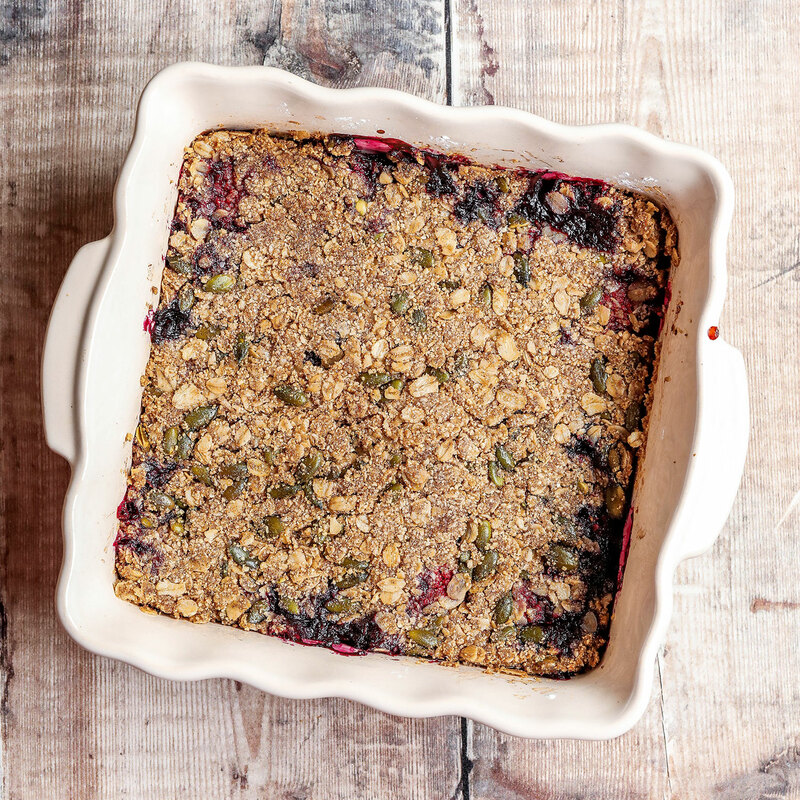 This recipe only has 2 tbsp of sugar in the crumble. The first time I made it I added another tbsp of sugar in the berry mixture, but I think it turned out way to sweet. 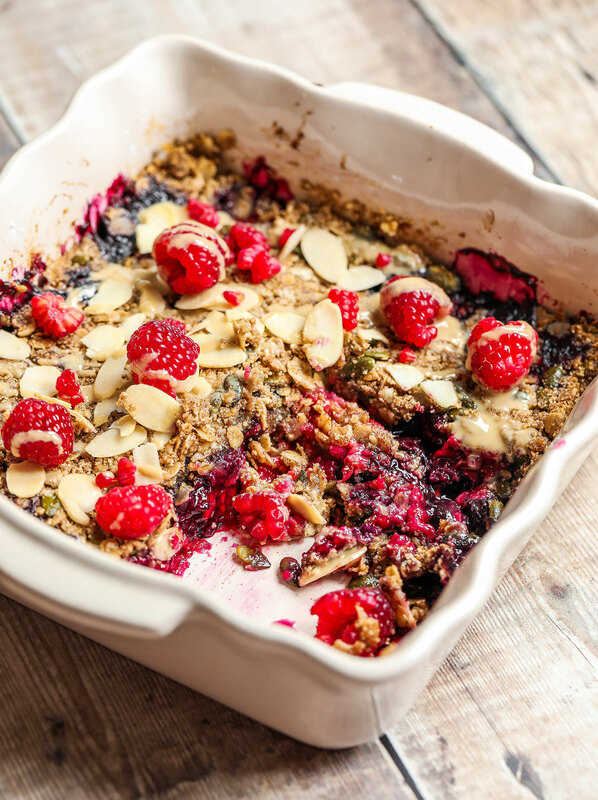 You can leave out the sugar completely if you’re not keen on having sugar in your breakfast, but I wouldn’t recommend skipping that little bit of sugar as it really does make the crumble taste so good! Preheat your oven to 180C/160C fan/ 350F. Arrange the berries in a baking dish (I used a 8×8 baking dish). Add the lemon juice and cornflour and toss to coat. In a bowl, combine the oats, ground almonds, pumpkin seeds, sugar, cinnamon and salt, then pour in the melted coconut oil. Mix well. 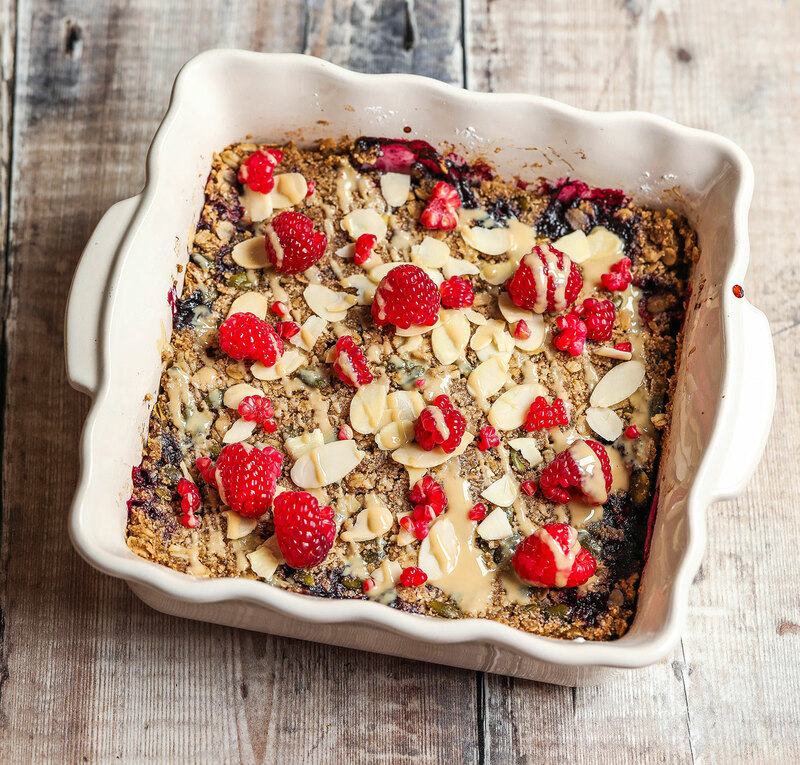 Top the berries with the oat mixture and bake for 35-40 minutes. 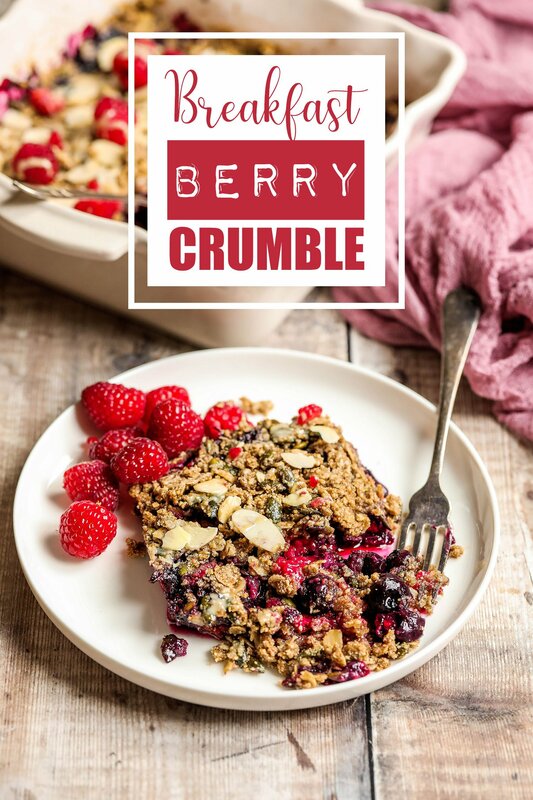 I am curious as to the amount of berries used for the breakfast berry crumble, it states 250 ?